As an industry leader, Mainstay Fuel Technologies didn’t have a problem selling their product. Having experienced continuous market growth, Mainstay needed a way to keep up with their demand, needed a central location and on-brand materials to connect their customers with the company. Working with Mainstay was a given. No spin-doctoring here, the only challenge, giving the public easy access to a product they already depended on, one they already trusted. Mainstay needed materials as future focused, reliable, and organized as their company. They required a presence that continued delivering on the values their customers have come to expect. 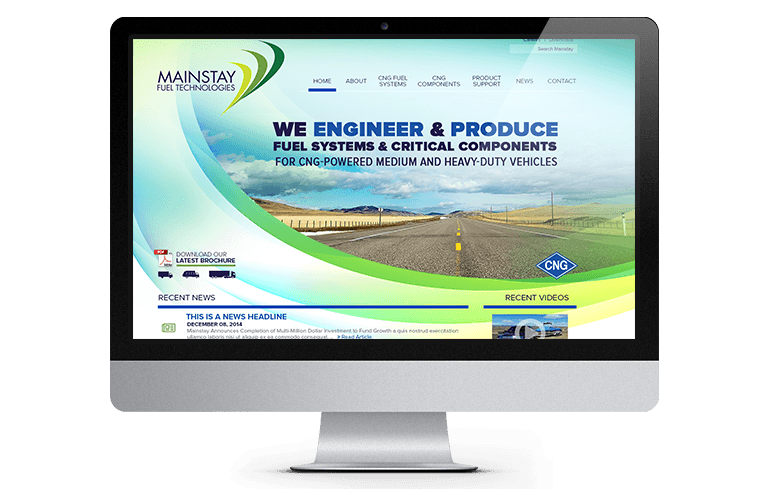 At Redhype we’re proud to call ourselves full-service agency, and we love when our clients come to us needing the “works.” Mainstay is an innovator in the fuel technology field, and they needed a new image, crafted to keep up with the ever-evolving industry. We updated the branding, fashioned new collateral ranging from business cards and brochures, to a state-of-the-art website.